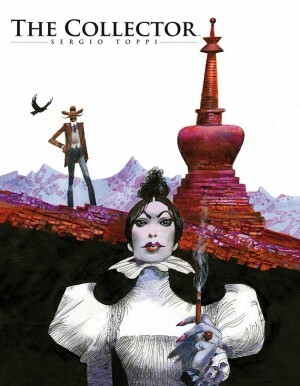 The Age of Innocence is the first of two volumes collecting together for the first time every story created for Alack Sinner, a series of comics by the Argentine-born team of artist José Muñoz and writer Carlos Sampayo. The work these two creators have done together in this remarkable series spanning thirty years is a high point in 20th century comics. 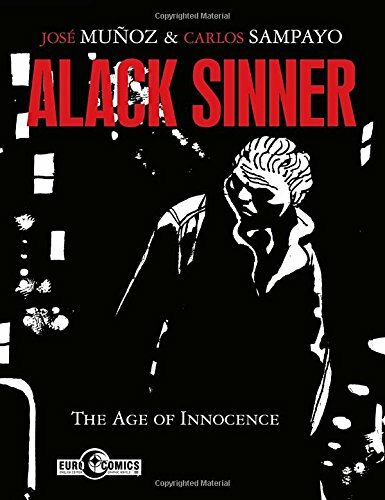 Alack Sinner began as another hard-boiled, noir-drenched examination of crime in New York City but quickly evolved into something haunting, nuanced and complex in the increasingly surprising scripts, tackling political, racial and psychological themes. The expressionistic artwork presents the grotesque and bizarre faces of contemporary North American urban life while somehow remaining beautiful. Muñoz’s masterful use of black as a design element carves white-edged angular figures out of inky shadows, in unexpected, dynamic compositions. Even the ugliest pictures have an elegant intelligence to them, and the combination of complex ideas plus captivating visuals elevates these stories to a level very few other creators have reached. 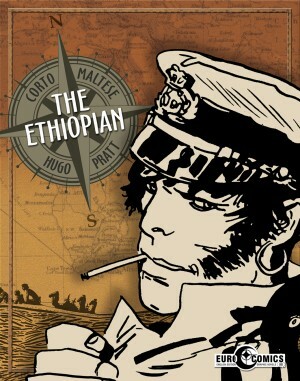 The Age of Innocence is a large, 392-page softcover book, featuring eleven stories: ‘Talkin’ with Joe’, ‘The Webster Case’, ‘The Fillmore Case’, ‘Viet Blues’, ‘Life Ain’t a Comic Book, Baby’, ‘In His Infinite Wisdom’, ‘Twinkle, Twinkle’, ‘Constancio and Manolo’, ‘Dark City’, ‘Memories’, and ‘Encounters’. 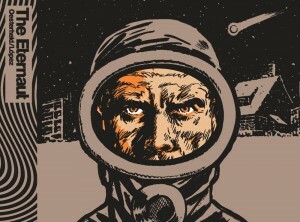 Muñoz and Sampayo decided they wanted to present this Sinner book as a thematic chronology rather than by date of creation, so the order of stories doesn’t follow publication date, but the internal timeline of the main character’s life. This is a good decision allowing the collection to open with ‘Talkin’ with Joe’, one of the best episodes in the first half of the series and a kind of origin story, where Sinner sits in Joe’s Bar and tells us how he went from demoralised Manhattan beat cop to private detective. The relatively conventional two cases that follow are the two earliest Sinner stories but they seem more powerful in this context, especially sandwiched between the first tale and then ‘Viet Blues’, another of many gems in this book. The production aspects of this book unfortunately fall short of what one would hope for from a stellar collection like this. 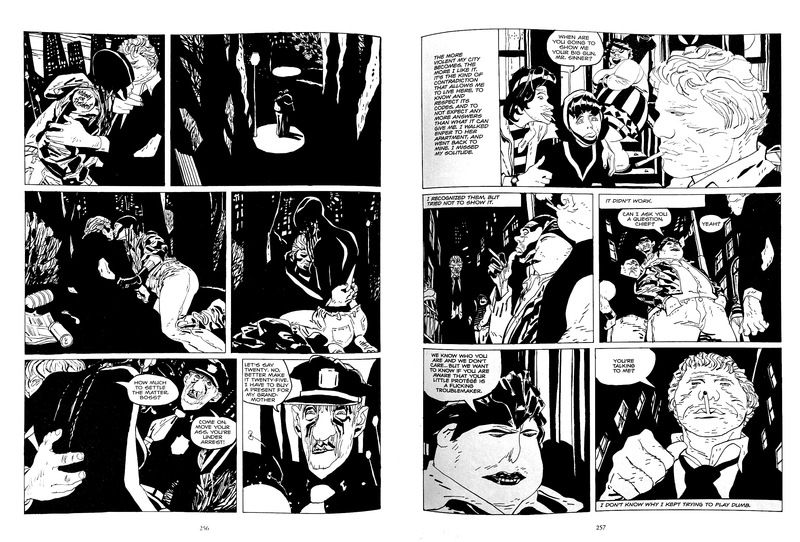 The uncoated, off-white paper doesn’t do Muñoz’s stark black and white images any favours and there are several surprisingly inept pages of lettering that don’t come anywhere near equalling Muñoz’s use of different styles to indicate changes in tone or mood. These are small things in light of what’s on display here in this phonebook-sized collection, but given the landmark status of the stories it’s unfortunate that it feels cheaply produced when compared to even larger collections such as Locas, for instance. 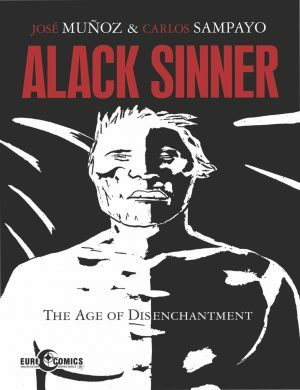 A complete edition of the entire Alack Sinner series has been a long time coming, and this first volume doesn’t disappoint: the gathering of all these stories in one place intensifies them and makes for a very powerful reading experience. You can see very clearly why Muñoz and Sampayo have had such an inspirational effect on comics creators around the world (most notably in the USA on Keith Giffen and Frank Miller) but they remain unequalled, and The Age of Innocence is titanic, memorable work. The Age of Disenchantment completes the series.